and are also used in agriculture, industry, and research, and by home-owners and government agencies. 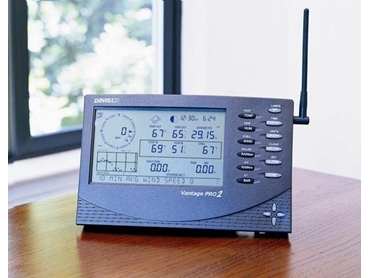 Products from this range of weather stations include the new Vantage Pro2 weather stations for monitoring barometric pressure, temperature, humidity, rainfall, and wind speed and direction. In addtition to the Vantage Pro2, Mait Industries also features the original Weather Wizard III.Sensors. These sensorsmeasure temperature and humidity, leaf wetness, and solar and UV radiation, and are designed for use with Davis weather stations or we can connect to our logging systems. Coinciding with these weather station products, Mait Industries also offers a range of software to support the weather station equipment. Installation equipment designed for use with the weather stations include products such as sensor mounting arms, shelters, heaters, solar power kits. These products make up the entire range of products required for custom installations of weather stations, including replacement parts that are also available for weather stations.